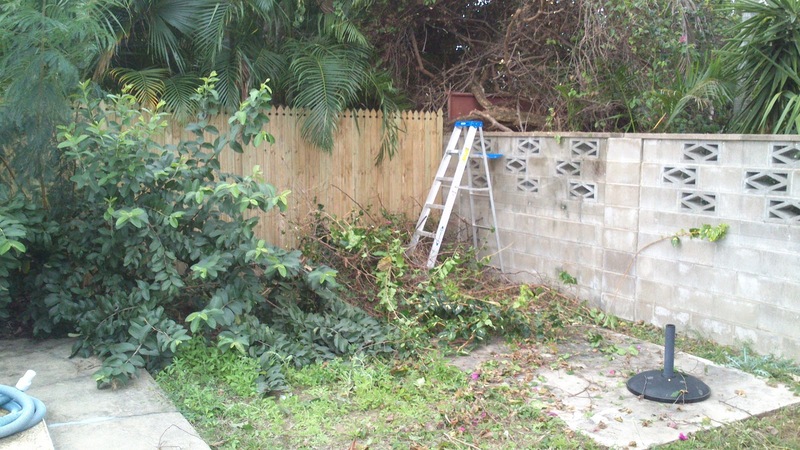 ...otherwise known as pruning the Bougainvillea to make room for Sangrias at Sunset. 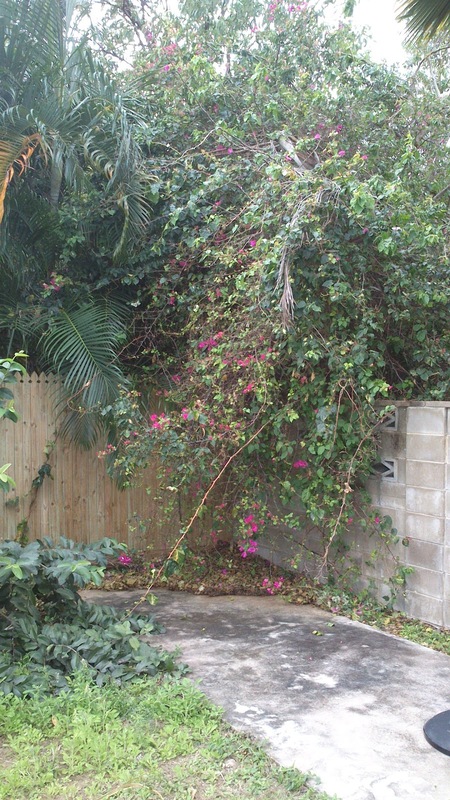 It's actually quite an old and well established Bougainvillea, a plant that we both love but over the 12 months prior to us moving in it was allowed to get a wee bit out of control, taking over the back left corner of the block (and it stretches into the other two neighbours yards too). 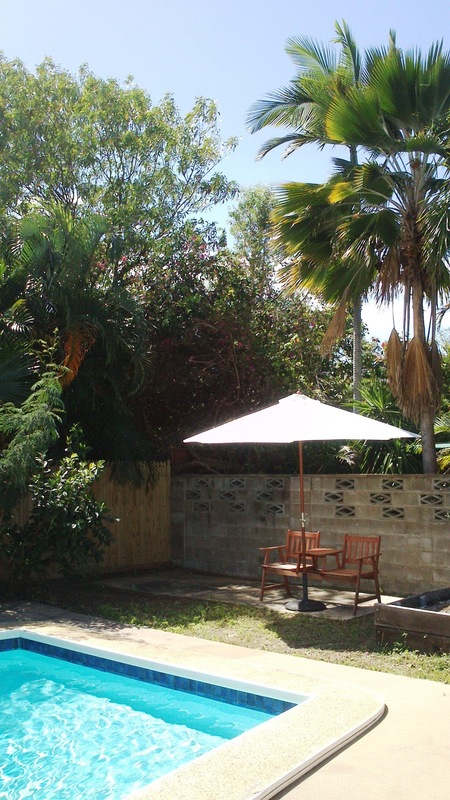 Kate wanted to plant one of these 10 years ago in the yard of our first house in Townsville, but I pointed out that if they aren't strictly maintained, they can just go haywire. Which is exactly what this one has done. When in full bloom they are stunning but once the flowers begin to die off, you are left with a thick blanket of brown mushy leaves that start to rot. Not so nice. 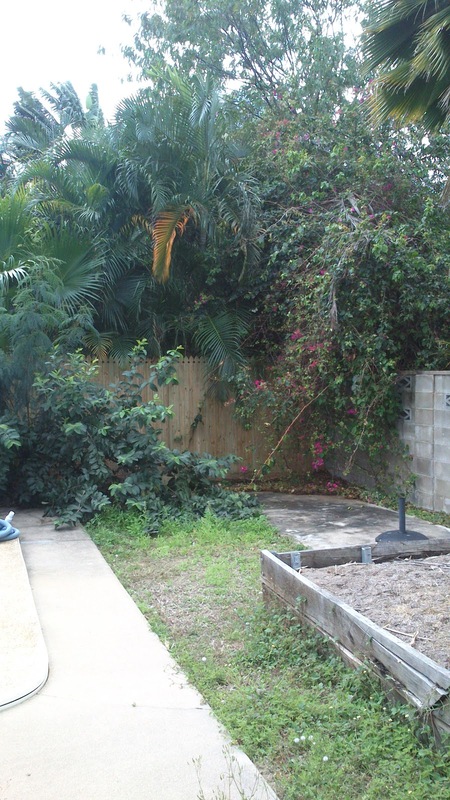 There's actually an old concrete slab in the back corner from a garden shed once upon a time (I imagine). 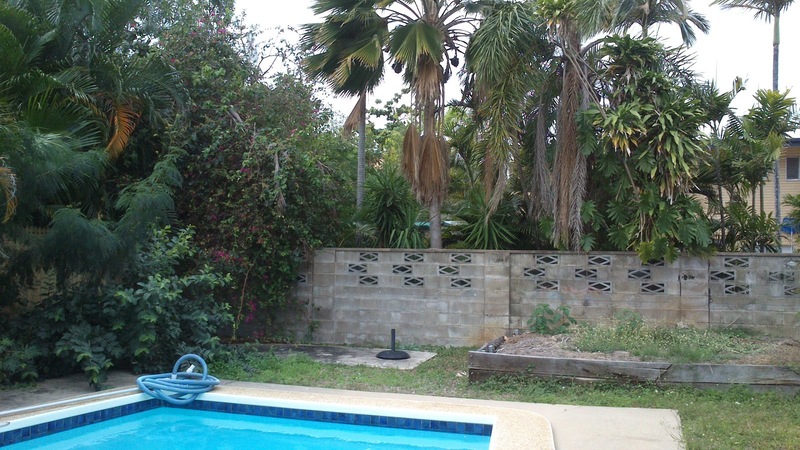 That innocent looking veggie patch thing on the right is another project on the 'Things to Do' list... I mean who builds a garden bed to hold grass clippings right.next.to.the.pool... I mean seriously?! 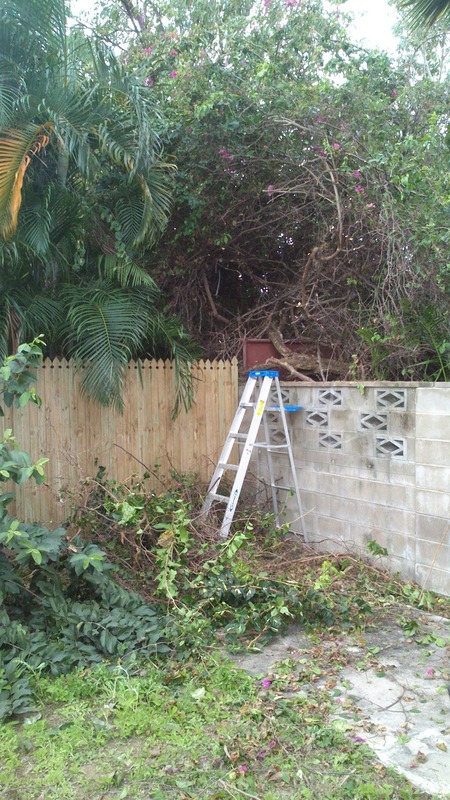 Unfortunately I (Kate) didn't get any footage of my impersonation of the human hedge trimmer, walking along the top of the masonry breeze-block wall playing duelling banjos with Mother Nature. My lumberjack friend (Eugene) in Pennsylvania would be so proud!! 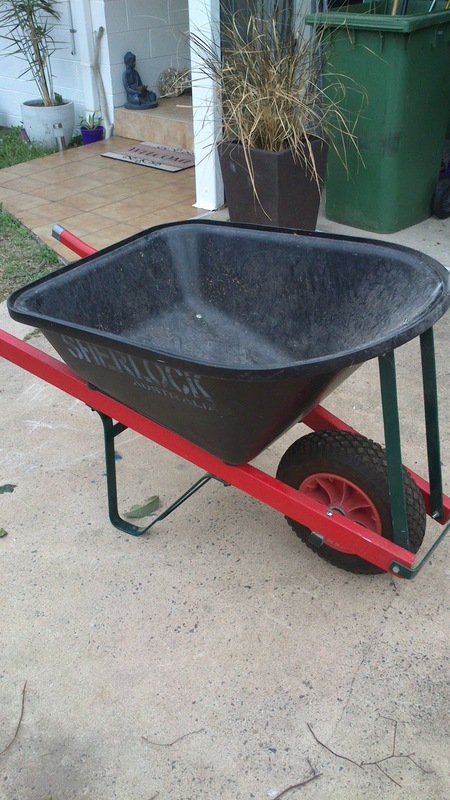 I even managed to get Sherlock Holmes in on the job to get to the bottom of this dirty task. Sadly for Kate there was no Benedict Cumberbatch on the scene to help out (thankfully as far as I'm concerned, I mean ladies...really??). But, SHUT THE FRONT DOOR, check out the result of all that hard work. Well done that man, hand him a cheeky Sangria! Well, maybe another day, as I was just too done in to move and as Chief Sangria maker in our house I wasn't moving for anyone. I had a shower, grabbed a James Squires, and went down back to give our Jack & Jill Chair a test run in its new spot. (Kate found this seat in an Auction House and it took pride of place by the pool at the last place - Kate and I sit together and watch the kids swim - and affectionately this is known as our Jack and Jill time). 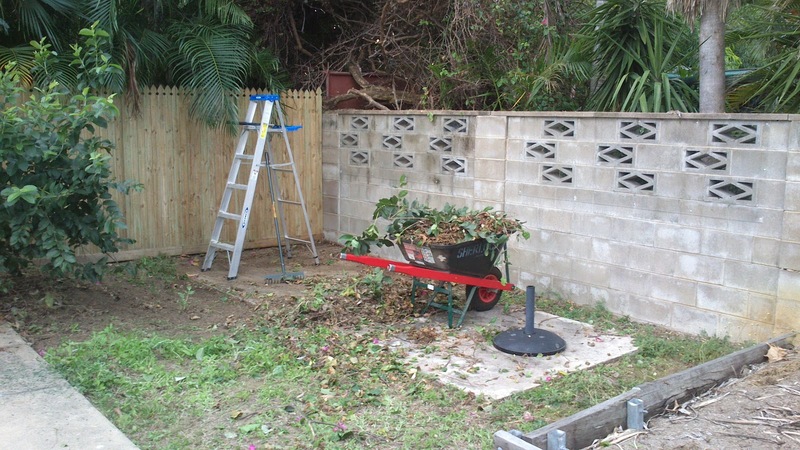 But that's one of the bigger outdoor jobs done for now, next will likely be getting a shed built behind the house, as well as moving that mound of garden bed (more work for Sherlock) and paving that rear area where the grass (read - weeds) currently grow. Looks like a nice place for a couple of sunbeds if you ask me. ...online (and on the phone) for hours every day with Blogger, domain hosts, online forums, running diagnostic checks...you name it, I have done it. 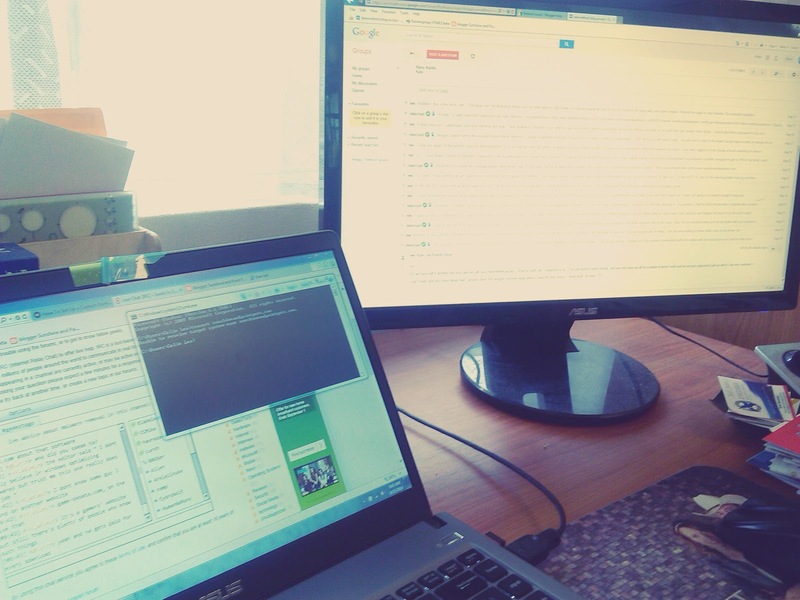 Desperately trying to sort out our intermittent blog issues. Grrrr...it has been the most frustrating week for me, and still I have gotten nowhere. So I just wanted to post a quick message to those who read this but don't have access to my FB page, which this week has been full of questions regarding why this blog is having intermittent issues. We are still no closer to finding out why, both Blogger and our domain hosts are completely unwilling to tell us what the problem is, or offer help. We originally thought it was just us having problems accessing 'the sunshine' but it seems not. We have had reports from the UK and around Australia having troubles viewing it. Anyone in America/Canada had or having issues?? Please let us know in comments, or email/FB. So apologies, we are trying to get it up and running ok, so please bear with us. Obviously if you are reading this now, it has worked just fine right this minute, but that's not to say it will again tomorrow, or later...stoopid blog!! As I said it is intermittent and if you feel that way inclined please stick with us...and try again when it doesn't load in future. ps - a huge thanks go to my 'nocturnal' cousins in the UK who desperately tried helping the other day and gave sooooo much advice and talked me through ways to try and sort things, it was much appreciated and very helpful. 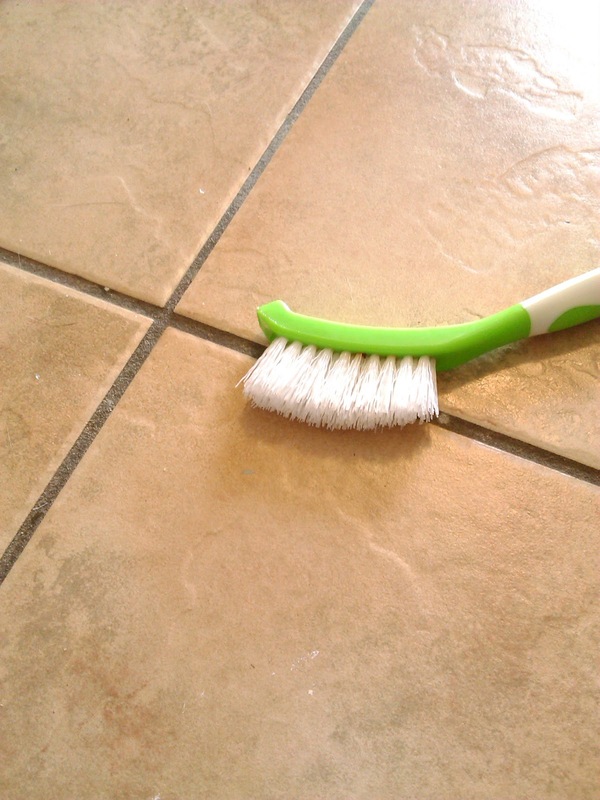 ...against my dirty, old tile grout! Poppy had to take a day off school as she wasn't feeling well but by 9.30 she was totally bored and looking for things to do. She came into Col's study area and started searching through his books. Seeing the word ART and some Chinese writing she naturally thought this was a Chinese art book, a bit like an Asian Mister Maker. She loves to write and paint using Chinese calligraphy brushes and an ink stone, so when she opened The Art of War up she asked, "where are all the brushes hiding"...LOL...of course within 20 seconds she realised it wasn't quite as it had seemed and this book was in fact (to her) as boring as the proverbial and she quickly shoved it back in the shelf. So this is all very sweet, but where on earth am I going with it??? 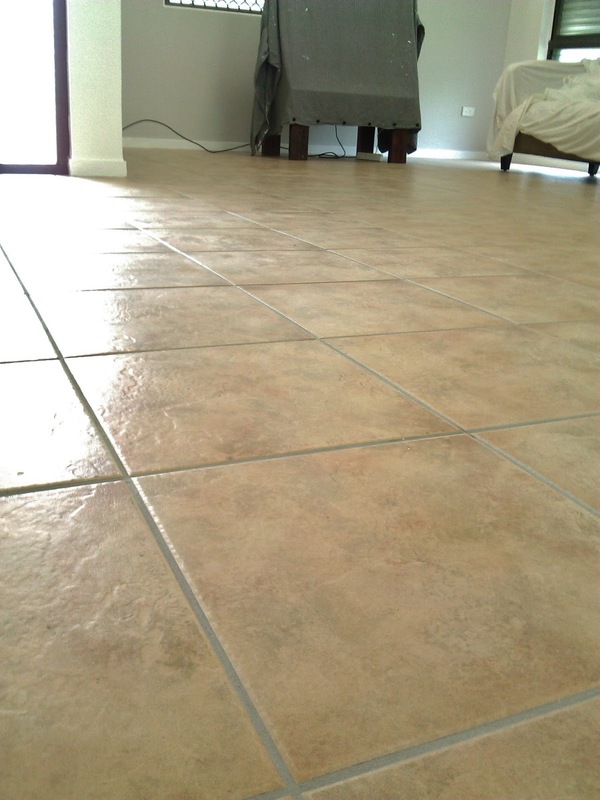 Well... when I was putting together this post on my secret weapon in the fight agansit dirty floor tile grout I saw this picture as a great segue into what I did and why, read on! 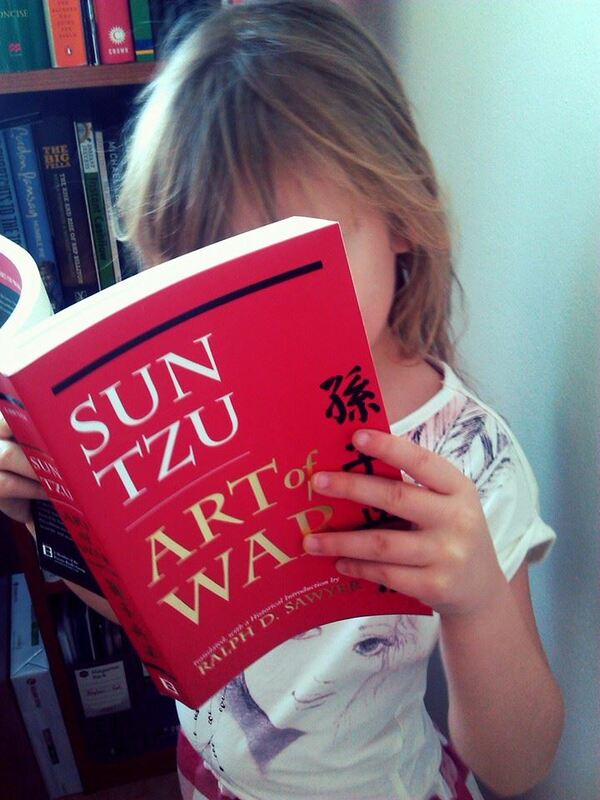 I haven't actually read the Art of War (funnily enough) but Col reads and quotes it often. I know that he applies the verses to many situations in his life, not just in his past life (21 years in the military) but in business, in finance, in every day life almost (yeah he's weird clever like that). I also know that the book is applied hugely outside of the military and often the themes of the philosophies are about how to fight wars without actually having to go into battle. And that is what we were looking at here. We didn't like the tiles throughout our house as I mentioned here, but we couldn't go the full force and rip them all up. We didn't have the time, and we didn't have the budget. 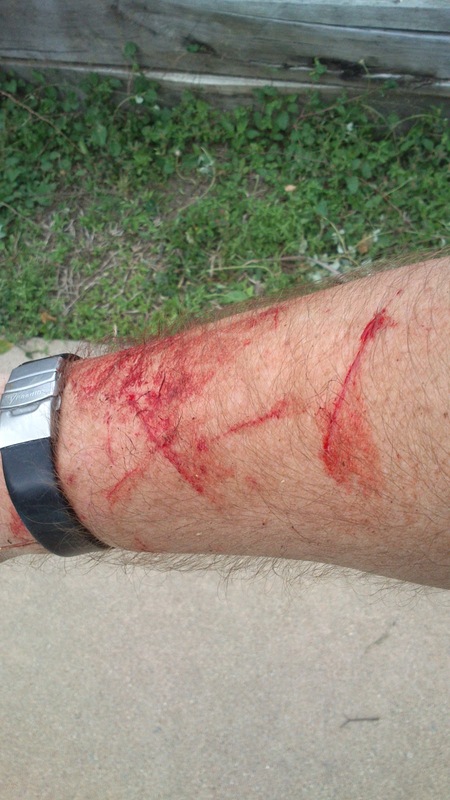 So we had to find the weak link and try and make good of a bad situation. Your victory will be painless. So let's add this all together and see how I have way too much time on my hands making this stuff up how this all fits together. 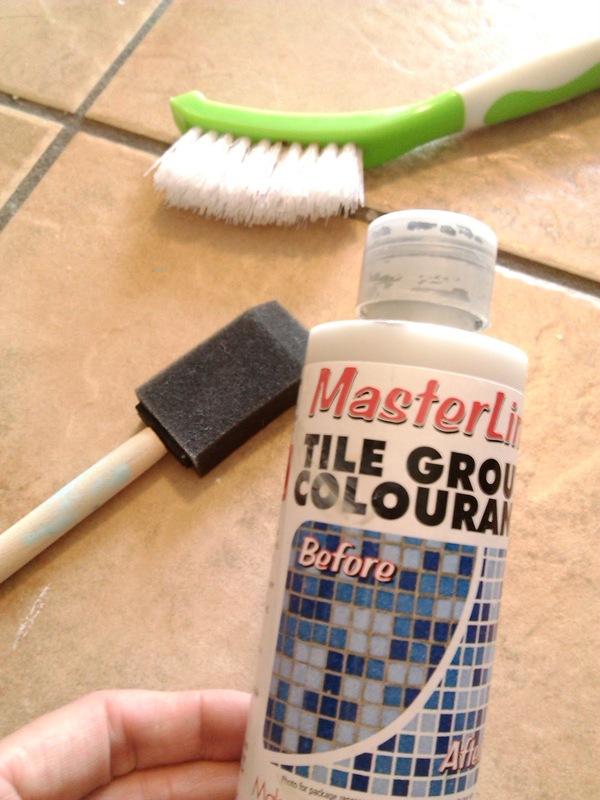 Once upon a time, way back when I was choosing the tiles for the bathroom, I had an idea to re-grout or re-colour the grouting throughout the entire house. 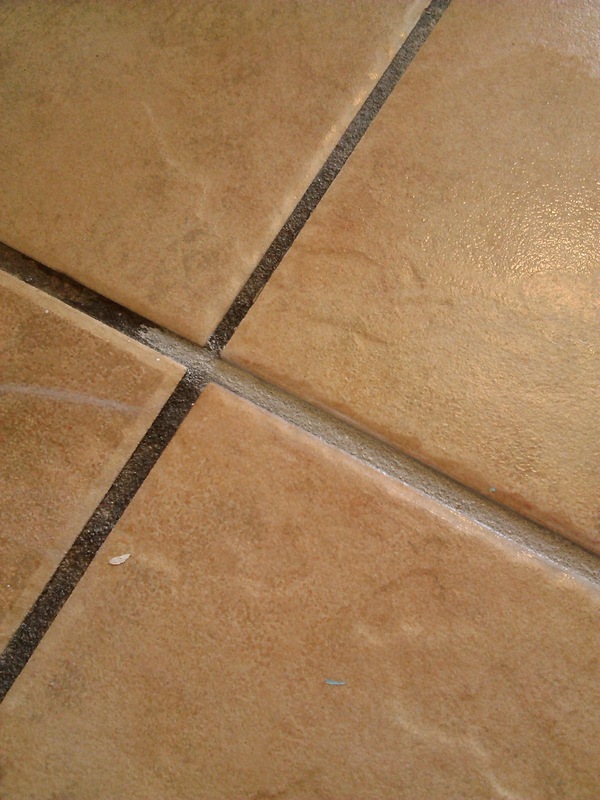 I began looking into it and decided re-grouting would be way to much work and I just wouldn't have the time to do it. 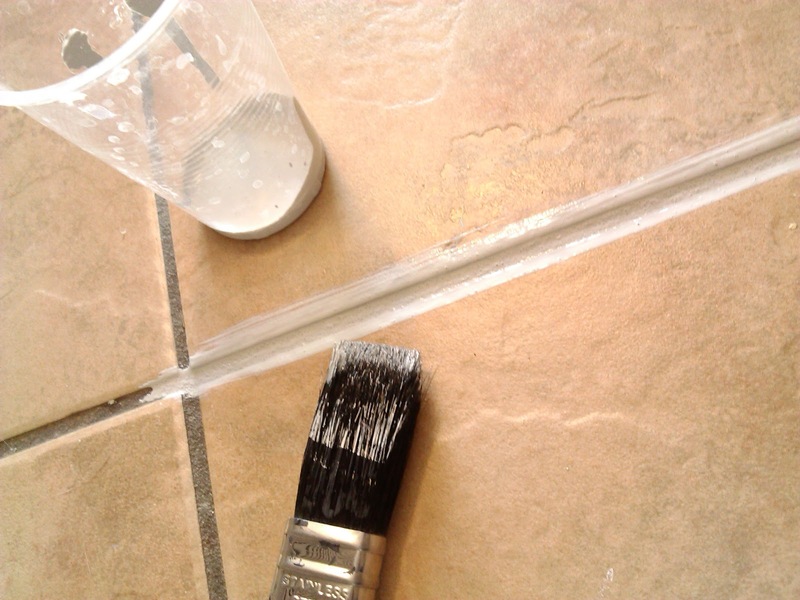 So I decided on cleaning and painting the grout instead. It would give it an instant re-fresh and hopefully wouldn't be too hard or time consuming. 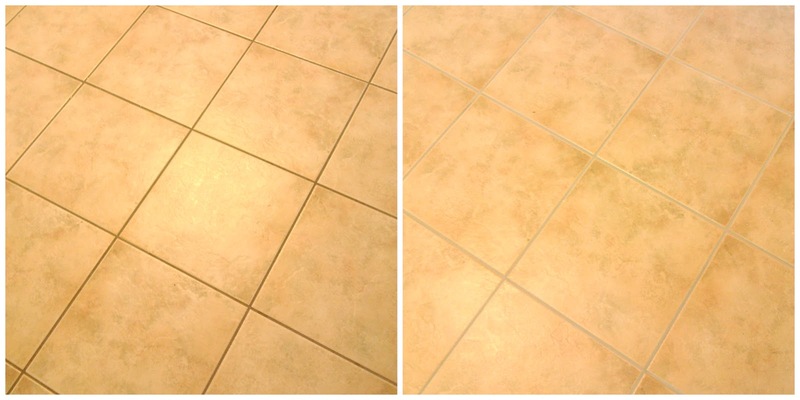 I asked our tile store manager if it would be a good idea, 'No way! Do Not Do It! Once you start you will have to continue to the end and you will wish you never started. I guarantee you will want to give up after 10 minutes... it will be an awful job', she said. So I asked Col, 'Nope don't bother, it won't make a big difference, and will take forever - just leave them' he said. I asked at Bunnings if they sold floor tile grout paint, 'No, never heard of it' they said. Hmmmm....so what did I do? I ignored them all! I scrubbed the grout with a grout brush and some disinfectant/mold cleaning solution, (I waited a full day after cleaning them to be sure the grout lines were fully dry) then grabbed the Tile Colourant and threw out the little sponge that it came with - it's rubbish. Using a small paint brush and a little pot of the colourant I brushed away to my hearts content, don't worry about going over the lines it all rubs off. Then I left it a while to dry, (I waited about 30 minutes). 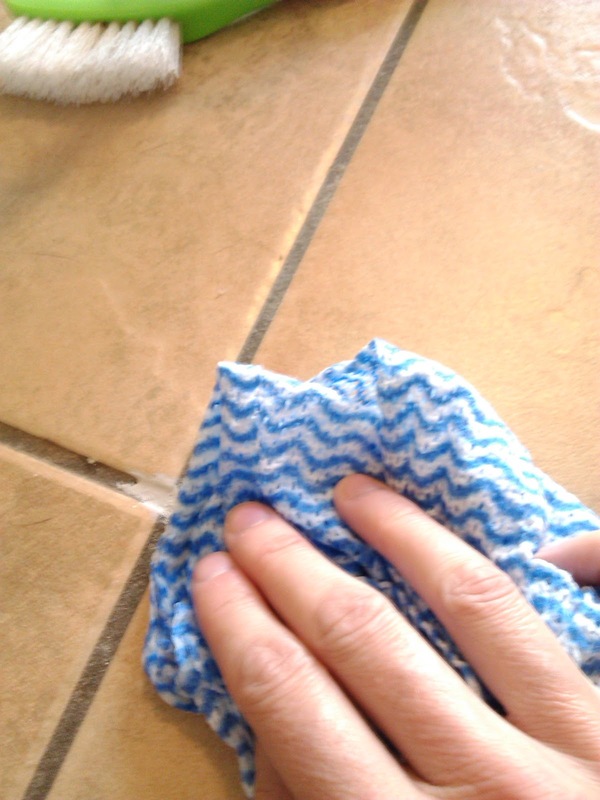 Once dry I used a clean, damp chux (dish cloth) to gently wipe the surface of the tiles. Being careful not to rub the grout itself. Ta-Da!! It really is too darn easy!! I wont lie, it took me ages to do. But I was just doing 3 or 4m2 at a time between other jobs, prepping/cleaning/waiting for paint to dry (literally) so in the grand scheme of things it's a not that big a job and to me it was a no brainer. My tiler couldn't believe the difference, he loved it so much he wants me to go and do his house...hahaha! I have no idea how long this will last, but so far it is resisting any mess that may be dropped on it, i.e I can easily clean the grout if I drop food or liquid in the kitchen. And for the sake of carrying an extra pot of paint at home for any touch up's that may be required, none needed yet, it's a perfect solution for us right now and makes the whole area look like new. So there you have it, I guess anyone can apply The Art of War to daily life, you just have to look at things in a different way! ...ohhhh how I wish it had been that easy. Whilst the bathroom was going through it's metamorphosis, the rest of the house interior was going through it's very own beautification process too. 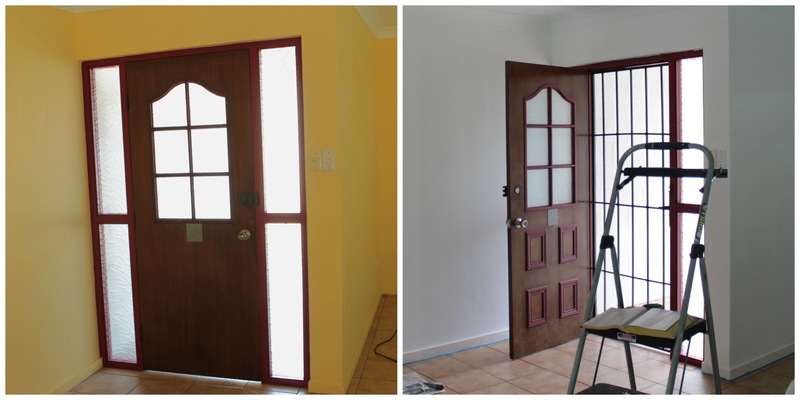 We had set ourselves a target of 4 weeks to get all the painting done in the main living and dining areas and bedrooms, so that there was virtually no painting left to do when we moved in. I may have mentioned before, that I love yellow, it's my favorite colour, so bright and cheerful and oh so warm. BUT when you have it in this big a space against the orange-hue floor tiles and the redy-orange splash back in the kitchen it just doesn't work. It wasn't only clashing with the door trim and kitchen tiles but it was also making the floor tiles look far more orange than they actually were. Adding to this problem were the dirty grout lines, that had 30 odd years of built up grime embedded in them, making the whole floor look filthy. When we first bought this house, we initially thought a massive chunk of our budget would (eventually) be blown on the flooring. 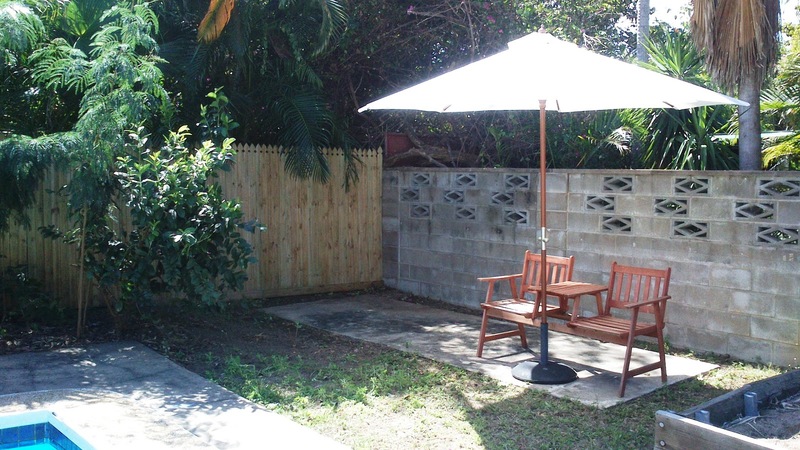 It is an open plan house so the entry goes through to the lounge, dining, kitchen, laundry etc etc. There are no doors, steps or stops and starts, in other words these orange tiles go all the way through the entire house in one continuous stream, stopping only at each bedroom door, (which is where the 'beautiful' pale lemon, with a touch of 'stain' well worn carpets start - more on that another time). Sneak peak of our lovely yellow carpets...nice huh?! So in order for us to change the look, it meant we would have to rip the whole lot up - which equates to a lot of money. Not only in replacing them but also on labour getting them removed. 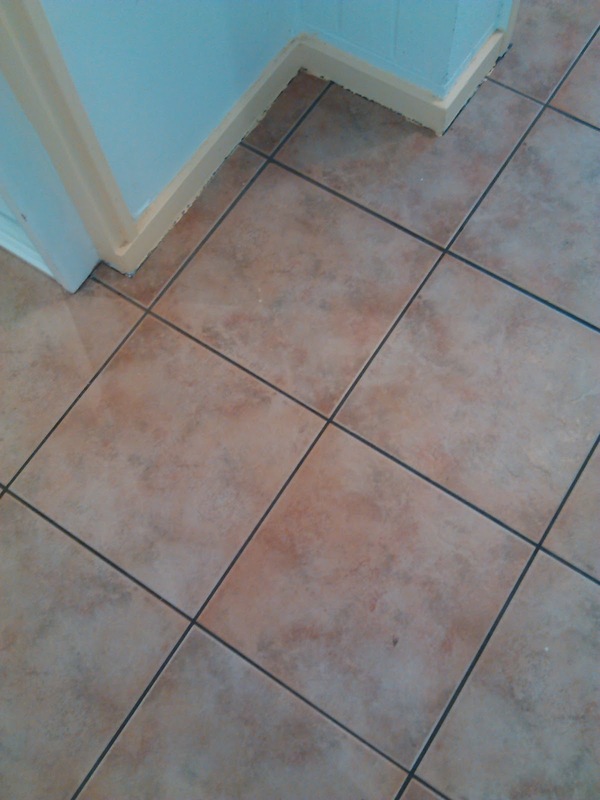 *Note - as we mentioned before in the bathroom post, some people go straight over the top of their existing tiled floor. Yes it seems odd on face value but when you have a level floor in good condition already then it is entirely feasible and would make a lot of sense money and time wise. You just have to be aware that this will create a lip into other areas where the tiles are now higher on the floor you are 'going over'. For example, in our house it would create an uneven 'lip' going into the carpeted bedrooms and tiled bathrooms. 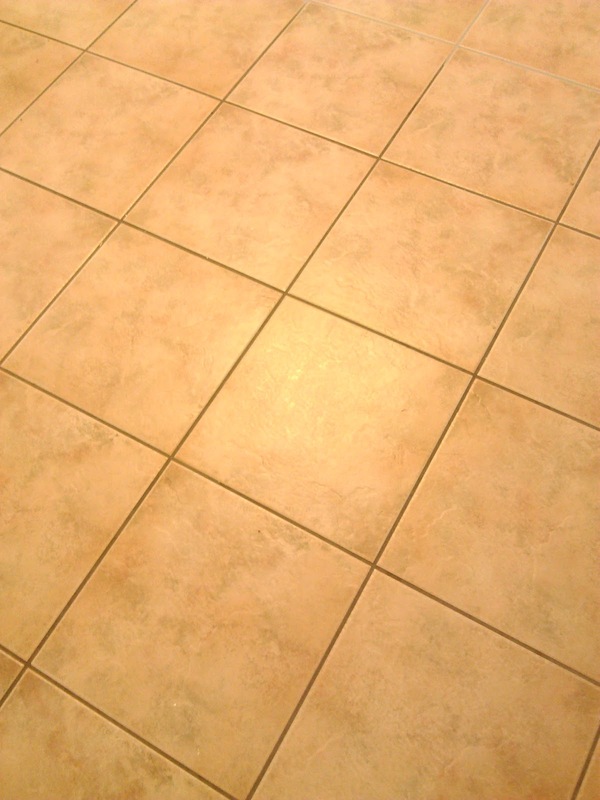 And even though a tile store here actually suggested that as an option for when we do want to change out the flooring, it's probably not something we would want. 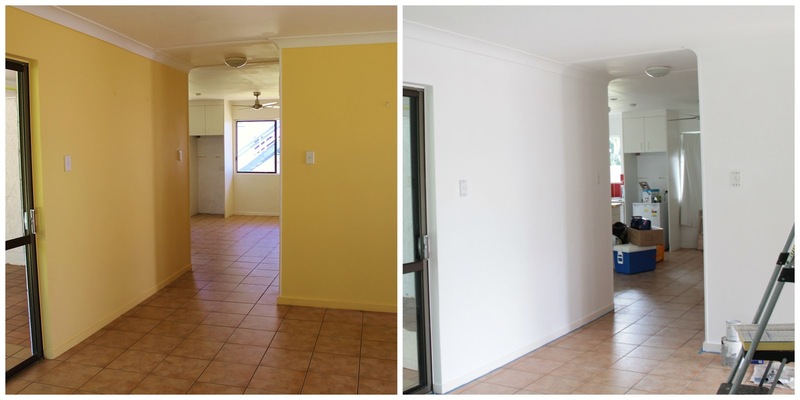 So back to the walls, we knew our first job was to get rid of the yellow and lighten the whole area up by painting the walls white. Yes, we chose white again, we will never win any awards with our colour choices, but we like it clean and fresh and Col was quite adamant it had to be white, bright white. We figured it would soften down the floor tile colour and lift it all a bit. Funnily enough Col found photo's online cached in some file from years ago through a Google search, that showed previous pictures of this home from owners before the 'yellow' came into play. Low and behold the walls and trims were all white back then, and the floor didn't look anywhere near as orange because of it. So we knew we were on the right track. So white it was....now let's paint - how hard can it be...?? Answer - Extremely!! Apologies for the poor colour in this shot, it was taken on my mobile which as you know stamps it's feet in disgust and refuses to play the game when taking pictures indoors. The first reaction I used to get from everyone in the trade when they saw my walls was, 'Wow that's going to take a bit of going over'.....'Do you know yellow is one of the hardest colours to cover 'etc etc. 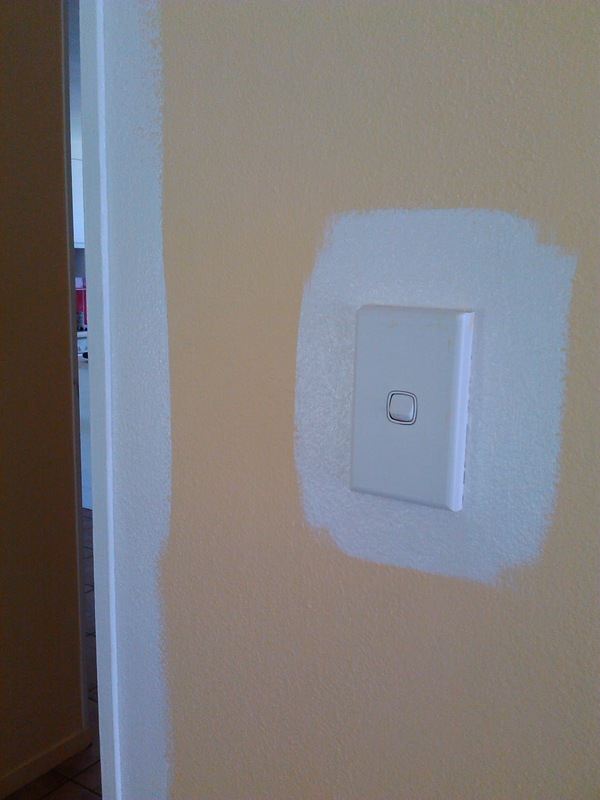 So I was already prepared for what was going to be a hard job, and I went off to a hardware store with a sample of the yellow and explained that I wanted to paint over it with Taubman's Crisp White. They told me to use an off the shelf, non-tinted white based 'paint and prime' formula first and then go from there using the Taubman's Crisp White. They said the 'paint and prime' is the equivalent of two coats of normal paint so it will be fine, I unfortunately took their advice and started. It was a little while before I realised it was my BIG mistake #1. Even though the shot above looks like it is covering it nicely...it is not. Yellow is indeed a hard colour to paint over. After a full day of painting I looked back at the first wall I'd done (nearly dry) and the yellow was already showing through. Ok, so I wasn't too put off by this yet, I knew it would take more than one coat, so I came back the next day and did the second. 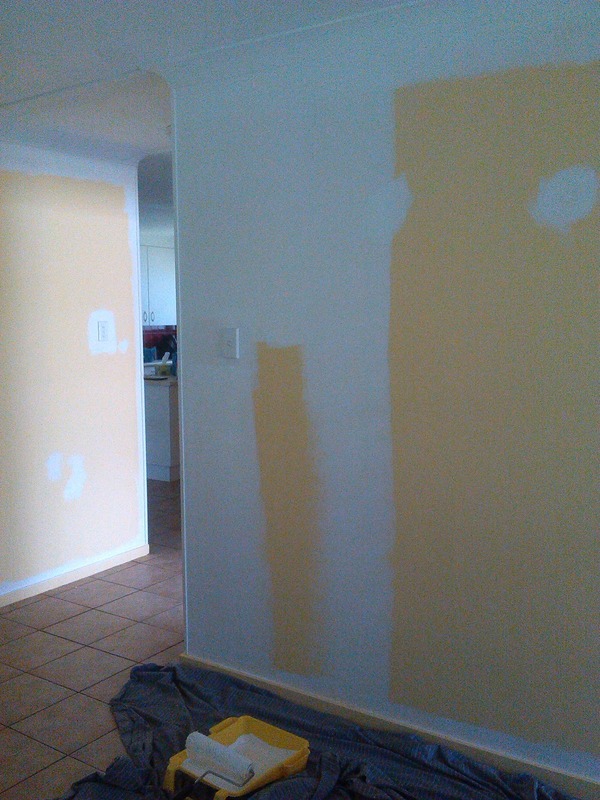 Again by the time I was leaving for the day I looked over at the first wall - now with 2 coats and BING! - there was the yellow....Grrrrrrr! Unfortunately I don't have any pictures of all this because a) it was a very exhausting and frustrating process and taking photo's was the last thing on my mind - and b) the light wouldn't have allowed a decent enough shot to show what I mean. But trust me... you could see it showing through. I now had a dilemma on my hands. I went straight to another paint store, the awesome guys at Home Hardware in the City, armed with pictures I showed them what had happened and what I'd been told. They were amazing. Not only did they tell me that I'd been given the wrong advice to start with (see below) but they also noticed I had been cutting in all my walls at once then going back to roll...another big no-no - Mistake #2. Again apologies for the worlds most awful photo - but it was all I had to demonstrate my stupidity how much cutting in I had done at once = too much. We had painted the other house in the exact same way but what I hadn't taken into account was that Col had followed me round with the roller so there was always a 'wet-edge' from which to roll. This makes for a much easier and more even paint job. In this house I was doing it all myself so just thought it easier to do the cutting in all at once - however, because the edges were drying by the time I'd go back with the roller it had left them much more noticeable. So I needed to cut in and roll much smaller areas, I had to stop and remember Poppy's constant sage advice, 'slow and steady wins the race Mum' (unfortunately for her, she applies this strategy to everything, including sprinting races at school sports day - yup, not so good). Anyway the wrong advice I was given initially was to have started with an un-tinted white. If the original store had simply put a few shots of black in my paint to begin with it would have collected some of the yellow pigments making the second coat much more likely to cover evenly and quickly. The Home Hardware guys gave me a full on painting lesson there and then in the store (awesome) and sent me on my way. As I had already begun with the un-tinted base, I pretty much had to carry on the same in this room as I was afraid it would be uneven if I stopped and started with a different shade of undercoat on different walls etc. So I had to just battle on, although now with much better technique. It ended up taking 4 coats, one of the undercoat (which is really 2 coats in itself) and 3 of our top coat. Gahhhhhh!! Enough! By the time I'd finished I was sooooo over painting but then decided (in my madness) to make more work for myself by adding a feature wall. I had already done two fantastic feature walls in the girls rooms, and loved the idea of having one wall in the lounge a different colour too. I began looking at colours that weren't too different or contrasting, Col wasn't that 'on board' about my idea so I had to stay neutral-ish, I decided on a white/grey tone, 'Dulux Limed White W' Anything in the more cream/brown range would alter the look of the tile colour yet again, and being as it was a grey, if Col really hated it I could (hopefully) paint over it without too much difficulty. Luckily we both loved it. 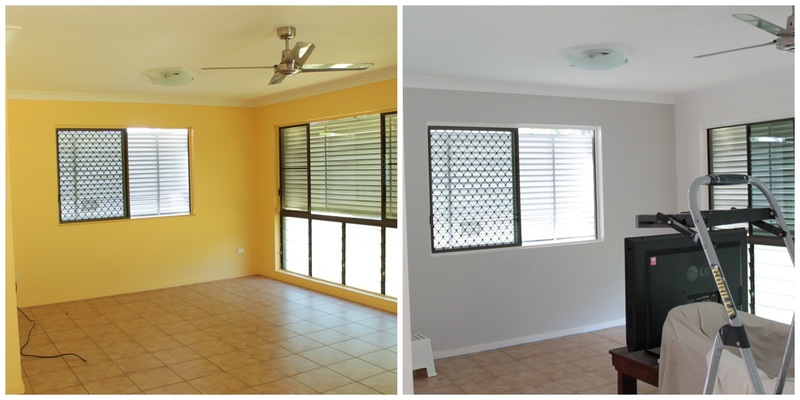 This is actually a great example of how colors can totally alter the warm feel of a room, although the yellow wasn't our ideal it looks so warm compared to the cooler grey and white look. But once our rug and furniture went it, it warmed it up again and we are so happy with the results. (More photo's of the finished room another time). 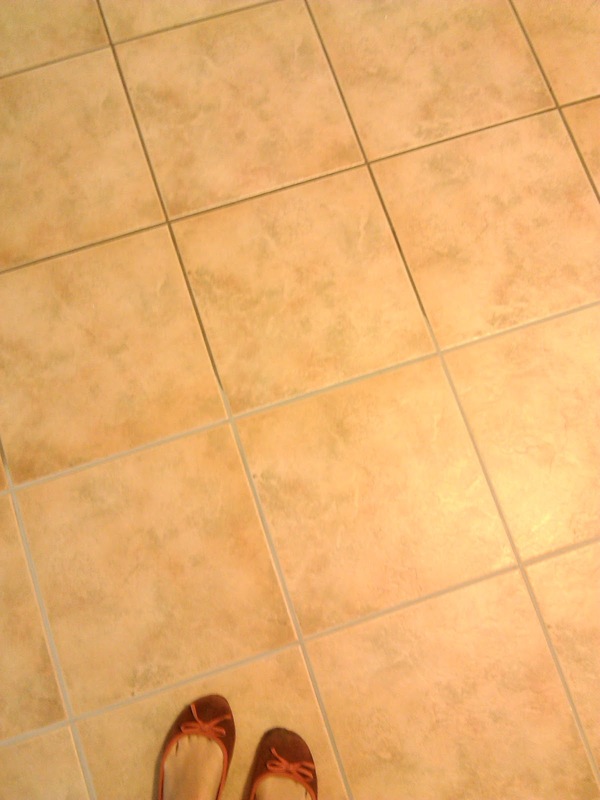 Hopefully you can see in this picture how the change in wall colour has made the floor tiles look way less orange. Yayyy!! I was going to reveal my secret weapon in the floor tile grout assault, but Col says, 'Enough already', so that will have to wait for another time. So after painting two entire houses in less than 15 months we would like to follow in the great footsteps of Joel and Benji, by singing at full volume - We are Done! Unfortunately we still have a little bit to go when we do the kitchen re-fit, but that is a little while off yet. So for now we can rest our weary paintbrushes and chill out for a bit...'aaahh'. Hmmm, bit of a long winded title there, but here's the low down. You may remember I recently wrote about how, with this renovation, we would like to "redesign the kitchen storage layout within the existing footprint to maximise efficiency and reduce food preparation and cooking times"? Well that was due to a conversation we'd had with Darren from the Innovation House, where he had explained that that was exactly what he intended to do with his brand new kitchen, prior to moving in. The aim being that by improving the design of the existing 'standard' kitchen, it will increase storage and improve the layout to deliver improved functionality, which in turn should reduce both the time and energy in preparing a standard meal. You can watch an interview with Darren talking about the innovation house to see the concept and rationale explained further. When Darren kindly asked us to be a part of this experiment, we jumped at the chance! We packed the girls off for a night of Frozen fun and games with friends and we headed off into a beautiful winter sunset for dinner at the Innovation House Kitchen - Take I. So how exactly do you put that theory into practice? Well you start by setting up some Go-pros and taking time lapse imagery of how the kitchen is arranged to begin with, capturing the time it takes to cook a meal, in this case a pasta entrée followed by a traditional lamb roast. 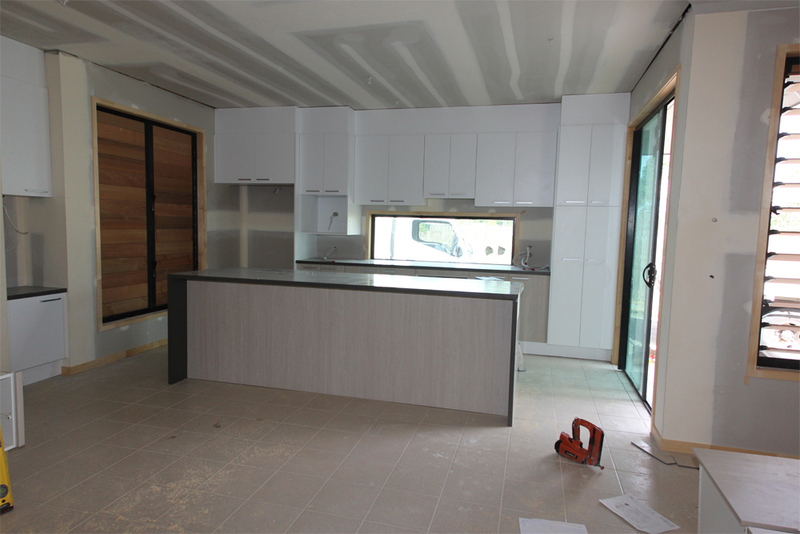 The next step is getting Moduline to study your existing layout and put forward a proposed dynamic space layout for your kitchen. Third step - remove existing kitchen and replace with new design. Lastly you set up the Go-pros again and take more time lapse imagery of the same meal being prepared - which in theory should show reduced time and energy taken to produce the same dish. While Darren has obviously taken the longer (and more expensive) route to demonstrate this design idea for the benefit of others, after talking with him a few weeks ago Kate and I thought it should be possible to do the same thing and incorporate dynamic space into the redesign of our kitchen when it comes time to start our kitchen reno. Darren very kindly offered to invite us along for Phase 1, and mentioned something along the lines of someone from the Townsville Crocs who likes cooking is going to prepare the meal. So we turn up and the said 'guest chef' turns out to be none other than the Coach of the Townsville Crocs - Shawn Dennis - who also just happens to be very passionate about cooking! All in all in was a very entertaining evening, (*edit - we were supposed to have more photo's but Kate was so engrossed in conversation with the lovely Jane and Lani that she quite frankly forgot to take many) and we are lucky enough to be able to go back again soon for Take II, after Darren has the old kitchen removed and the new kitchen installed. Then we'll get to watch Shawn go through his paces again to prove that a better designed 'dynamic space' delivers tangible results, such as shorter preparation times, and less energy consumed getting the meal from kitchen to plate. We'll do a much more detailed post following that to explain the concept further (the guys from Moduline will be there as well) and we'll have a few more photos to show how it all panned out...(won't we Kate)! !